The animals have escaped from the farm! You must return before it reaches their problems. 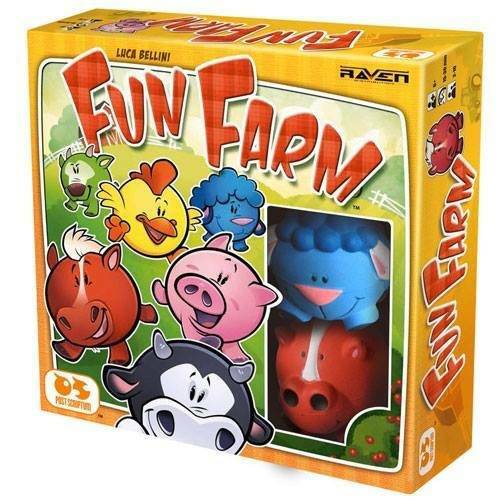 Catch the many animals as possible and faster than your opponents!At each turn, a player draws a new card and adds to those already placed in the center of the circle formed by the farm animals. were then launches two dice: if a card shows one of the faces appearing on the one of the two dice, players must capture the corresponding animal! The fastest wins the card. He can even win if several different animals must be captured and if it is sufficiently good with his hands!